Yesterday we took Jasper Carrot to Poodles in the Park. A great yearly event hosted by the Poodle Club of Queensland at Kalinga Park, Nundah. We were very proud of our little puppy. He won 2nd place in the ‘Naughtiest Poodle’ competition. Well Done. 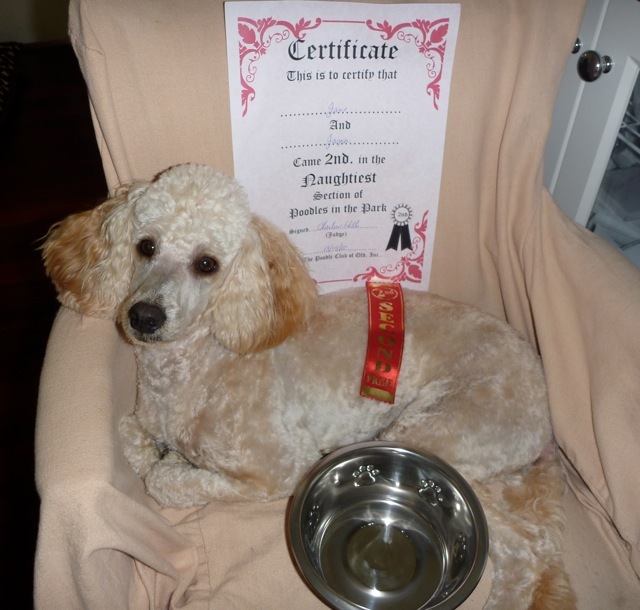 Jasper surrounded by his Certificate, Ribbon and shiny new bowl. I really a cat person but Jasper looks so cute!